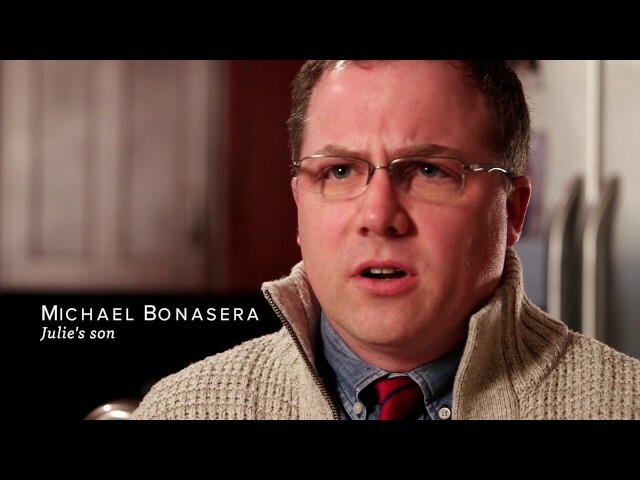 Through the help of the Bonasera family and supporters of the Julie Bonasera ALS Fund, Stephen J. Kolb, MD, PhD, and his team of scientists are shaping the future of research for ALS and other motor neuron diseases. Dr. Kolb, Associate Professor in the Department of Neurology and the Department of Biological Chemistry and Pharmacology, and his research team consider themselves a conduit between the patient and the innovative research that they and strong group of collaborators are conducting to find treatments for ALS. With the help of funding stemming from the Bonasera Fund, Dr. Kolb's lab is focused on the basic science of ALS and other motor neuron diseases to create effective model systems and to learn more about onset of the disease. Dr. Kolb and his team are now working on several new projects in hopes of providing more answers and ultimately more hope for patients with ALS. One project, in collaboration with Dr. Brian Kaspar, is to collect and analyze cerebral spinal fluid from patients to identify toxic soluble factors. By identifying toxic soluble factors, more information on the onset of ALS can be determined. This project holds great potential and promise. Looking ahead, Dr. Kolb is optimistic about his lab’s work and how it can improve lives. Dr. Kolb is building on current research to bring gene therapy clinical trials to Ohio State. These trials will give his team the ability to alter gene expression in motor neurons, which may provide another treatment option for patients. This effort is being expedited with the backing of the Bonasera Family and the work the Julie Bonasera ALS Fund is currently supporting. “Having this support—and this is true for all philanthropic support—allows us to initiate and complete innovative projects and even think about doing work that is more risky but that may have a potentially higher reward. In a climate where NIH and other funding is waning, having this support allows us to do things that will make a bigger impact,” says Dr. Kolb. Make a gift online and help improve the lives of our patients.